Interested in owning your own horse? Let us help you to find the right equine partner. Not ready to own your own horse but want to lease or shareboard? Contact Betsy Anderson 630-865-8708 or Jump4it82@aol.com for more information regarding horses available and costs. Sam is a 16h 6 yr old TB gelding, GREAT Jumper!!! PM for price and more video/pictures, currently ridden by a professional but has been shown and rider by an amateur rider as well. This guy is a great teacher and a very reliable mount. He is 15 years old and has shown hunters/jumpers and dressage. Loves to horse show and no prep needed. He is also great out on trails and hacking in a field alone or with a group. Quincy is priced at $5,000 negotiable to great home only. Please contact Betsy Anderson at 630-865-8708 or Jump4it82@aol.com for more information. Marco Polo TB gelding 16H. Great temperament and a wonderful teacher. He brought his previous rider from x’s to 2’6. 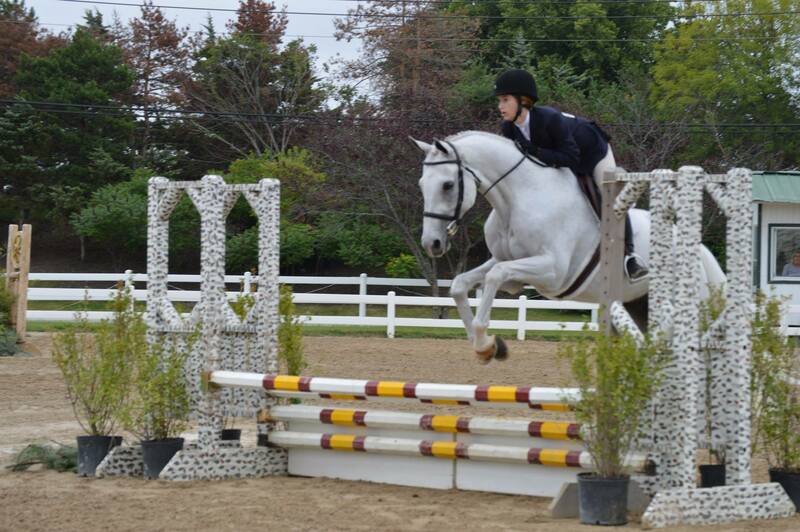 Contact Betsy at 630-865-8708 or Jump4it82@aol.com for more details on this great horse.